Our organically crafted Honeysuckle Hydrosol (aka Honeysuckle Flower Water) is steam distilled from the flowers and buds of the Lonicera japonica native to eastern Asia including China, Japan, and Korea. Honeysuckle Hydrosol has a subtle sweet fragrance that's suitable to be used as a natural body mist or splash. The Honeysuckle vine has been used for years by herbalists in traditional Chinese medicine as an anti-inflammatory for respiratory infections and even to treat bacterial infections internally as well as topically. 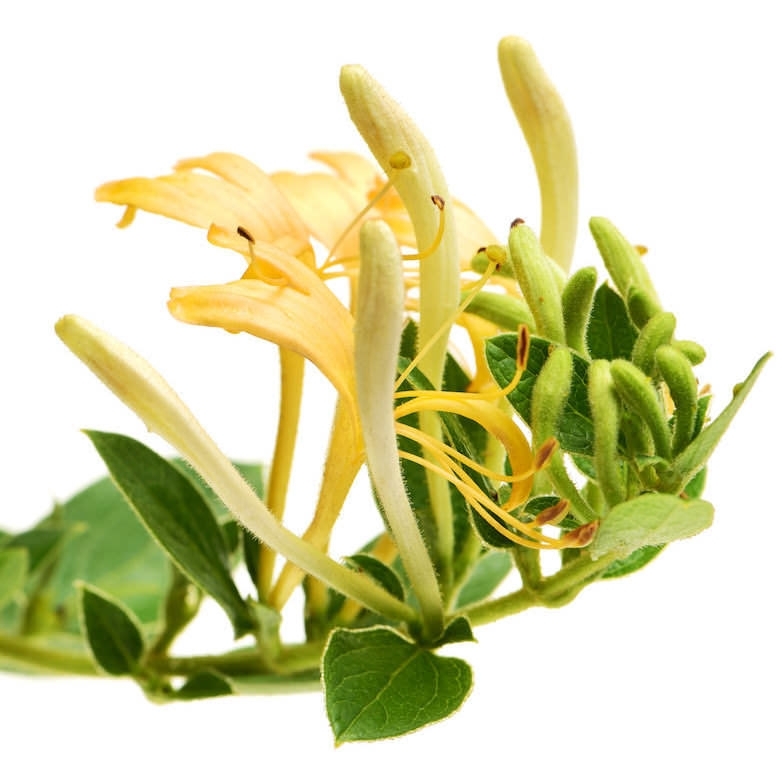 Honeysuckle's aromatic and cleansing properties have been used extensively in body washes, massage oils, shampoos, soaps, fragrances, candles and in topical applications to help with skin conditions (i.e. acne and eczema, etc.) and to help alleviate rashes caused from irritations. Ideally, Honeysuckle Hydrosol is best used as an external compress and is commonly used in various skin care products for the herbs' natural anti-aging and regenerative properties. With its anti-irritant properties, Honeysuckle Hydrosol is safe to use for easily irritated and sensitive skin types. Honeysuckle Flower Water is also believed to possess a number of potent anti-oxidants properties that help fight against free radicals, effective in delaying the process of ageing. Honeysuckle Hydrosol is an exceptionally gentle and relaxing aromatherapy body splash and spray. This calming essence helps to restore the body, relax your mind and lift spirits. This hydrosol is pleasantly stimulating to the nervous system and often provides a general feeling of well-being.